Casey and Melissa had written special letters to each other that they read after seeing each other for the first time. They were emotional and sweet and beautiful representations of the love Melissa and Casey have for each other as well the goals they want for it in the future. Their day was special. It was sweet. and it was a lot of fun. 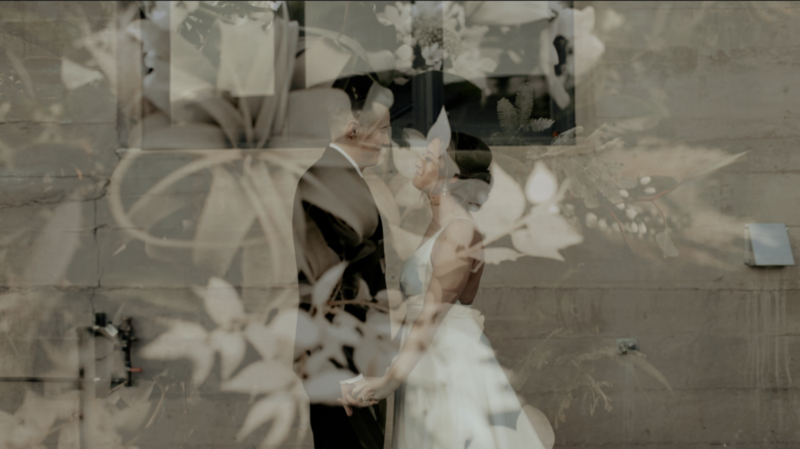 Check out all the moments in from their day in their wedding day film. Congrats to Melissa and Casey! Dorothy & Adam were married at The St. Vrain in Longmont, CO an absolutely beautiful converted car repair shop to wedding venue. Their wedding was on New Years Eve- an already special occasion that will now be forever marked by an even more special occasion in their lives. They scheduled their day accordingly too, knowing that they, and their guests would want to not just celebrate their new commitment in marriage but also bring in the New Year in style-and it was Definitely done in style! Their ceremony was sweet and perfect and their hand written vows to each other could not have conveyed more of who they are as individuals and to each other. And the reception was non-stop fun all the way through the Saber-Champagne-opening ceremony(yes, you heard me correctly. It was epic) right as the clock struck 2019! It was an honor to get to be a part of this day and night! Congrats to Dorothy & Adam! Kellee and Joe were married at the beautiful Lionsgate Event Center in Layfayette, Co. Although it was the end of the December, the weather was tolerant enough to be outside(and even kind of warm!) and provide beautiful natural light through the stained glass windows at Lionsgate for the ceremony. Kellee and Joe each wrote their own vows and shared many joyous and happy moments throughout the day and into the fun and dancing of the reception. Kellee and Joe were so happy from the onset and were gushing with excitement, fun and love towards each other the whole day. It was amazing to get to be a part of their day! Congrats to Kellee and Joe! Music Licensed and Provided by The Music Bed.